Last week Jesus continued to explain how he is God. 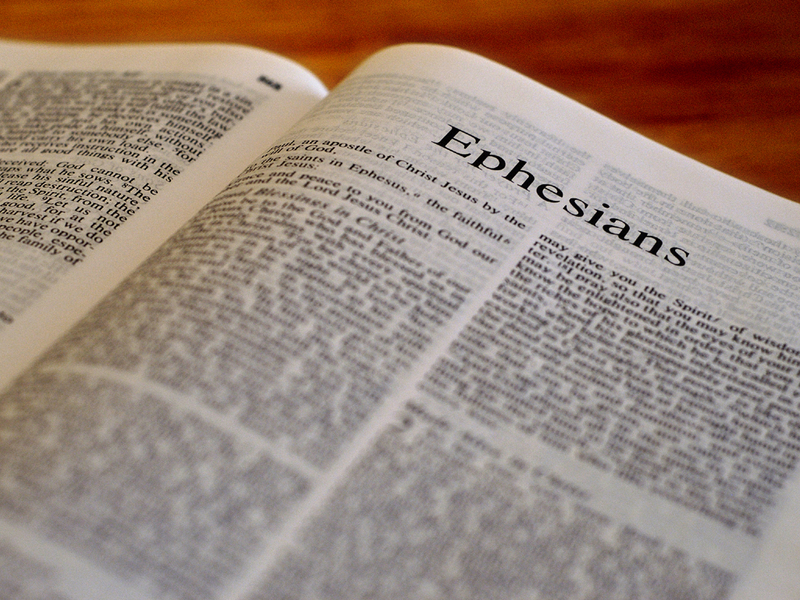 He pointed towards testimonies of others, Scripture, and even the miracles he was able to perform. There were many who believed, and still many that did not. This week Jesus shows us that he is in the messiness of life with us. He does not sit above it all and never gets touched. Rather, being human, God experienced the same pain and struggles that we have to deal with on a regular basis. Happy Thanksgiving! I know that this time of year might be hard for you with the loss of someone special. I think this week’s chapter is a good reminder that we can still be joyous through pain. Isaiah delivers a prophecy describing the destruction of the whole Earth. This is fitting since it comes after God’s messages of destruction to many nations in the world. The main theme in this vision is that man’s pride will be destroyed. “In that day the Lord will punish the gods in the heavens and the proud rulers of the nations on the earth.” (24:21, NLT). 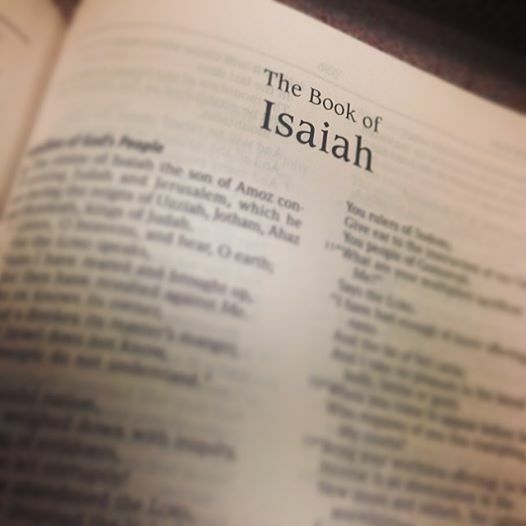 Isaiah then sees a vision of the coming salvation. People will return back to God, and recognize His ability to provide. “But you are a tower of refuge to the poor, O Lord, a tower of refuge to the needy in distress. You are a refuge from the storm and a shelter from the heat.” (25:4, NLT). This salvation, however, will not be for the people of Israel alone. It is meant for “all the people of the world” (25:6, NLT). After the message of salvation, we find a psalm praising God. It encourages us to keep our trust in God. “Lord in our distress we searched for you. We prayed beneath the burden of your discipline.” (26:16, NLT). It won’t always be easy, but we are reminded to keep our trust in God no matter what. God then offers a vision of the restored Israel. God will defeat all who stand against Him, and He will save those that remain faithful to him. After the defeat of evil, God will call His people back to Jerusalem and they will worship Him. We’ve all done wrong. It’s that simple. Paul even wrote, “all have sinned and fall short of the glory of God” (Romans 3:23, NASB). Since this is true, we must all realize a common thread for every man, woman and child on earth. 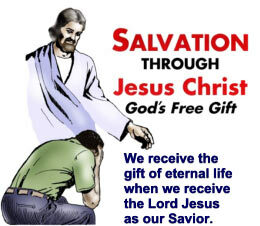 We need salvation from our sins. God recognized this as soon as we first sinned, and began a plan to bring redemption to mankind. There are times all throughout Scripture, where the people of God sin and fall away from God. Why? Because we cannot be saved on our own. Our salvation depends on one act, and that is our trust and belief in God. Isaiah continued to preach this to the people of Judah, even though they were heading towards disaster. We can’t do it, that’s where pride gets in our way. We have to trust that God knows what He is doing. Let’s look at a couple verses again. “In Jerusalem, the Lord of Heaven’s Armies will spread a wonderful feast for all the people of the world. It will be a delicious banquet with clear, well-aged wine and choice meat. There he will remove the cloud of gloom, the shadow of death that hangs over the earth. He will swallow up death forever! The Sovereign Lord will wipe away our tears.” (25:6-8, NLT). God promises to remove death from our world, and He did just that. These verses remind me of the Easter story. Christ instituted a meal (the Eucharist, aka Holy Communion), then handed his life over as an offering for the sins of humanity. By our belief, we have eternal life. This can only be found through faith in Jesus Christ (Romans 6:23). Through our pain and tribulations, we can find relief in knowing that God has promised salvation to those who not just believe in Him, but in the Son as well (John 3:16). If you don’t have a relationship with Jesus Christ, I hope that you seek one out. I am always available to help as I can. Just contact me, and I’ll do my best. If you do have a relationship with Jesus Christ, I challenge you to talk to someone about Him today. The only way people have an opportunity for salvation, is if His followers lead others to Him. How can we put our trust and faith in someone we don’t know about? Talk to someone, that’s the best we can do. I read an article on the Breathe Cast today. It was talking about a comment that was made in an interview done for the New York Times with former Mayor Michael Bloomberg of New York City. The interview was all about the work Mr Bloomberg is doing to advance gun control regulation. However at the end of the interview a statement was made, “I am telling you if there is a God, when I get to heaven I’m not stopping to be interviewed. I am heading straight in. I have earned my place in heaven. It’s not even close.” I’m not sure he truly understood the problem with such a comment. Author PrestonPosted on April 21, 2014 Categories Christian LivingTags faith, God's love, Jesus, Romans, salvationLeave a comment on You Can’t Earn It!